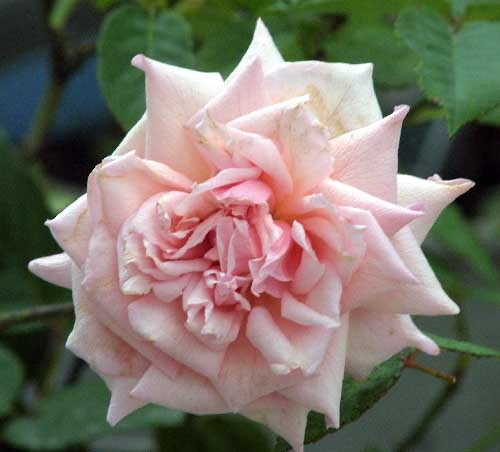 `Maman Cochet' blooms as frequently as do other Tea roses, but it may not have as many flowers. The buds are pale pink, and the open flowers have a slightly darker pink center. It is very double and has dark green foliage. It will do well in a large container. Due to its many petals, the flowers may ball up in humid weather. Its maximum size is about 4'. Bred in Suisnes, France (1893) by the Cochet family.